Bunga Bunga 47 proves you do get something for nothing. 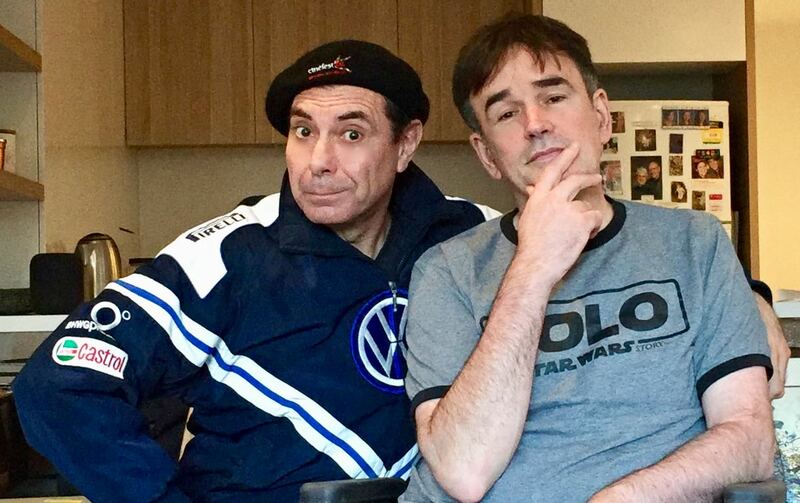 Tim Ferguson & Maynard have plenty of nothing and are happy to share it with you. Tim and Maynard save the Australian film industry, kidnap a member of the Royal family and Tim even has time to present TWO poems, one from his troublesome teenage years, and the other about the troubled motorcycle riding unemployed screenwriter of Glebe. Maynard is excited about his upcoming gig in Perth on August 11th, Tim is excited about a potential gallery exhibition in Manly, also in August. Tim & Maynard carefully and with forethought answer your Crankmail, fix the judicial system, change history, make a telephone call to the NSW Greens, take the piss out of our US listeners, them go out dancing. If you want more than that from a podcast, frankly you are expecting too much and must have helicopter parents.